A lot of people are still wondering how Facebook makes any money apart for the advertising bit.Facebook Credits is a new revenue stream that was officially launched earlier this year for people who want to purchase stuff on the social networking site like a truck on the game Farmville. Facebook Credits are part of what we call virtual currency in the same way we had Linden dollars in Second Life. You would need to buy Facebook Credits with real money via PayPal or credit card. For instance you could buy 50 Facebook Credits for $5. With this money, you could vote for your favourite candidate on the X Factor, or watch movie on PayPerView. At the moment, the online gaming industry is taking advantage of the virtual industry (MafiaWars, Farmville, PyramidZ are game where people trade in millions of dollars). Facebook Credits can also be used to purchase Deals if you have run a promotion on the site.So what’s in it for us in the hospitality industry?I can see 5 ideas that could be explored in your business.#1 If you have created deals on Facebook Places with your restaurant, bar and hotels, you can allow your prospects to purchase in advance what you offer. #2 You can run a campaign on your website and reward your best customers with Facebook Credits. For instance, you can track repeat guests and give them Facebook Credits based on what they spend at your property. This virtual currency on the largest networking site (750M users around the world) is very exciting for retailers and brands. Let’s see how the hospitality industry will take advantage of this. Feel free to comment your feedback on Facebook Credits and share the pros and cons. 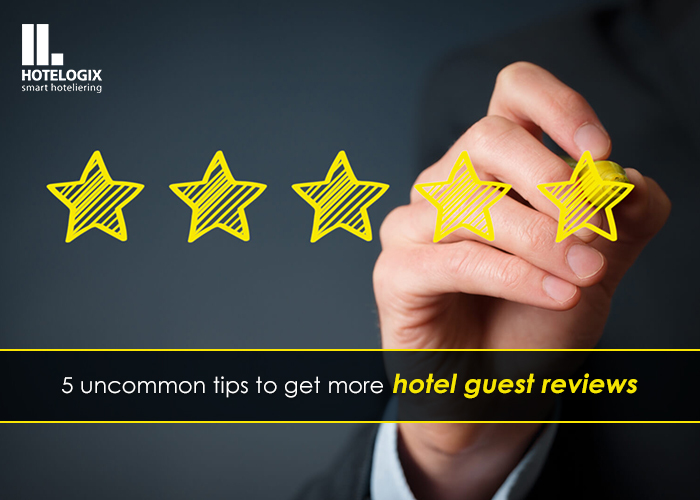 Will your Guests Visit your Hotel Again?